A content delivery network, also referred to as a content distribution network (CDN) is a geographically distributed network of data centers containing proxy servers. 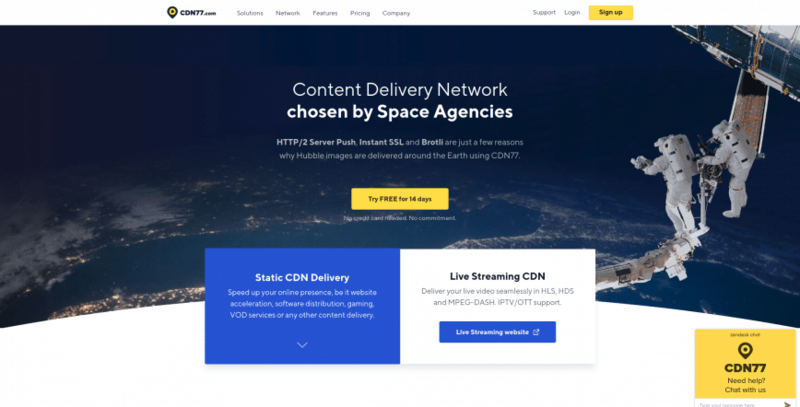 CDN Providers serve Internet content, including web objects (text, graphics and scripts), downloadable objects (media files, software, documents), applications (e-commerce, portals), live streaming media, etc… closer to and thus faster, to end users. Some of the main advantages of using a CDN are: improved load times, reduced bandwidth costs, increased availability and improved security. 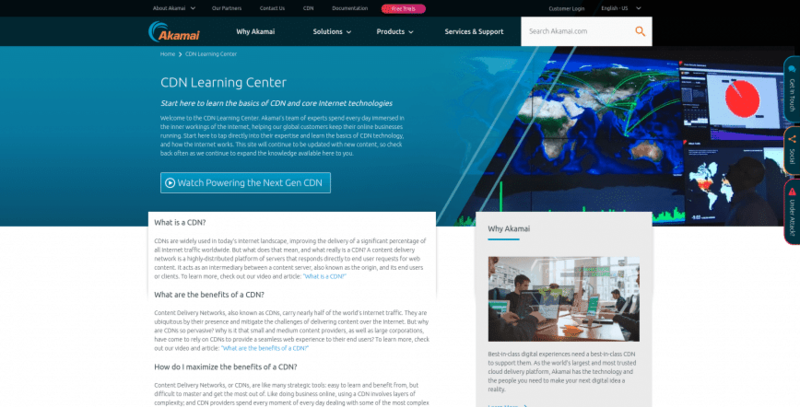 Akamai CDN – The CDN king! Responsible for serving 20% to 30% of all web traffic. Amazon Cloudfront – operates from well over 100 edge locations in five continents. Google Cloud CDN – around 100 interconnection facilities around the world. 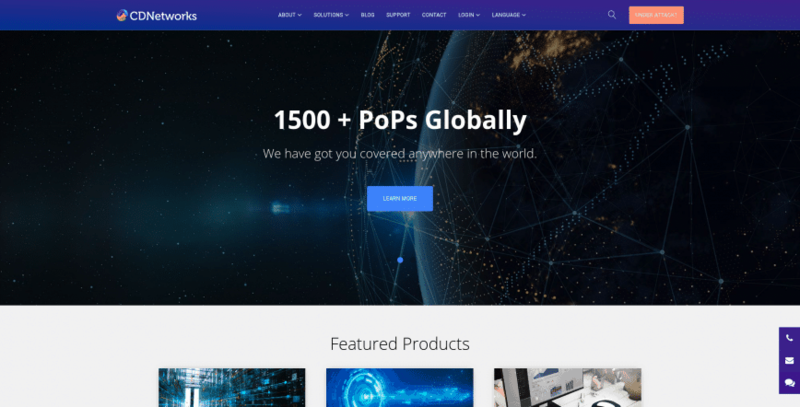 Cachefly – 42 global POPs. Relies solely on TCP anycast for routing, rather than DNS. Fastly CDN – 44 global POPs. Built-in image optimization. Powered by Varnish Cache. Stackpath CDN – 45 global POPs. They hit 1 million customers on January 13, 2018. Cloudinary – Full end-to-end image management solution for your website and mobile apps. 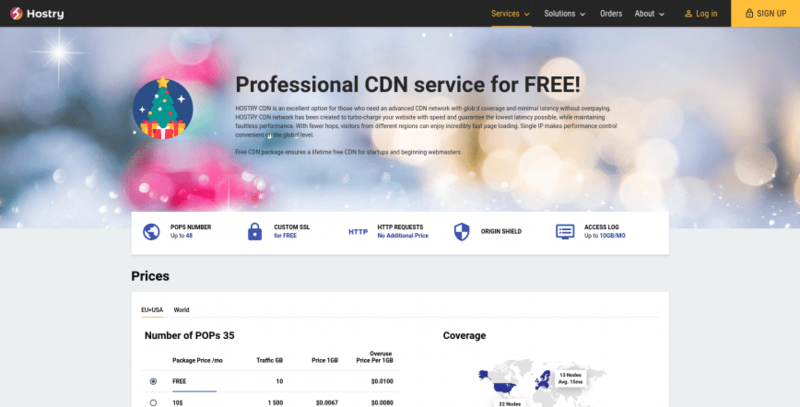 Hostry Free CDN – Free CDN packages for startups and beginning webmasters. Akamai Technologies, Inc. is an American content delivery network (CDN) and cloud service provider with one of the world’s largest distributed computing platforms, responsible for serving between 15% and 30% of all web traffic. 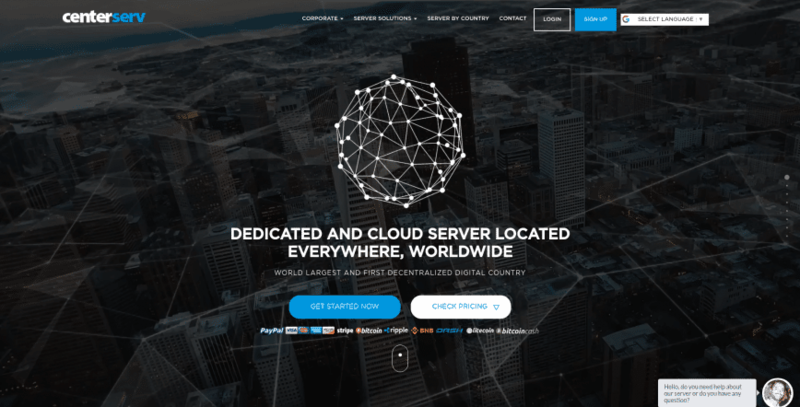 The company operates a network of servers around the world and rents out capacity on these servers to customers who want their websites to work faster by distributing content from locations close to the user. When a user navigates to the URL of an Akamai customer, their browser is redirected to one of Akamai’s copies of the website. Alibaba Cloud develops highly scalable cloud computing and data management services. As the cloud computing arm and business unit of Alibaba Group, It provides a comprehensive suite of global cloud computing services to power both our international customers’ online businesses and Alibaba Group’s own e-commerce ecosystem. Its services are available on a pay-as-you-go basis and include data storage, relational databases, big-data processing, Anti-DDoS protection, and content delivery networks (CDN). Free quote / Learn more. 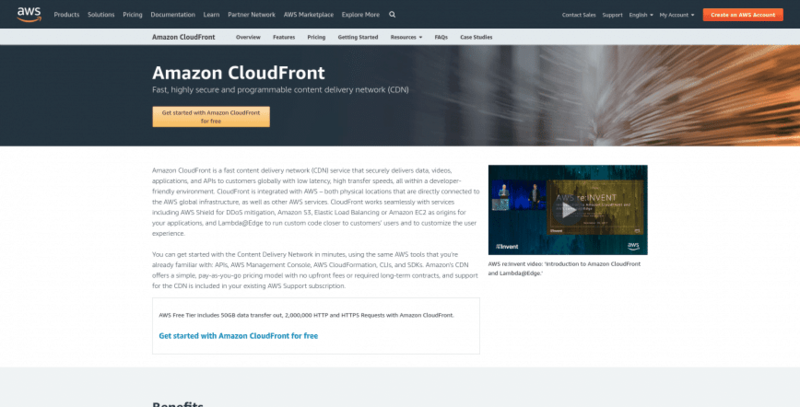 Amazon CloudFront is a content delivery network (CDN) offered by Amazon Web Services. CloudFront has servers located in Europe (United Kingdom, Ireland, The Netherlands, Germany, Spain), Asia (Hong Kong, Singapore, Japan, Taiwan and India), Australia, South America, as well as in several major cities in the United States. The service operates from well over 100 edge locations in five continents. CloudFront operates on a pay-as-you-go basis. Free Tier for 1 year or pay as you go. 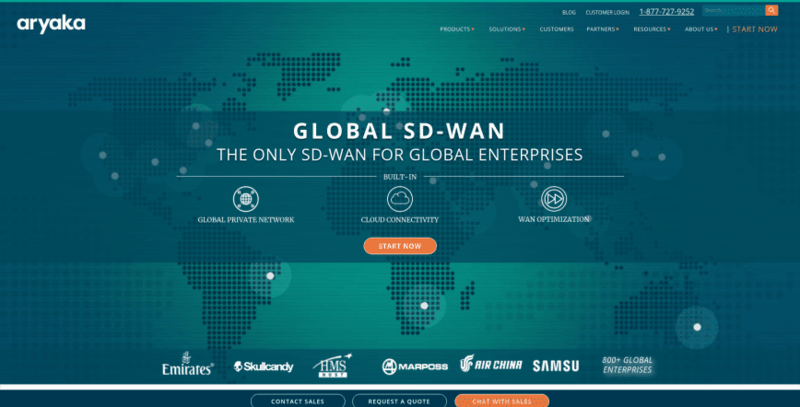 Aryaka’s Global SD-WAN provides optimized, software-defined network connectivity and application acceleration to globally distributed enterprises. Aryaka’s services have over 10 million users across more than 4,000 sites. Leading brands such as Skullcandy, Air China, Freescale Semiconductor, and ThoughtWorks, as well as partners such as Microsoft Azure, AWS, Intelisys, and SK Broadband, have all chosen Aryaka for their enterprise-grade networking needs. Plans start at $5 per month. 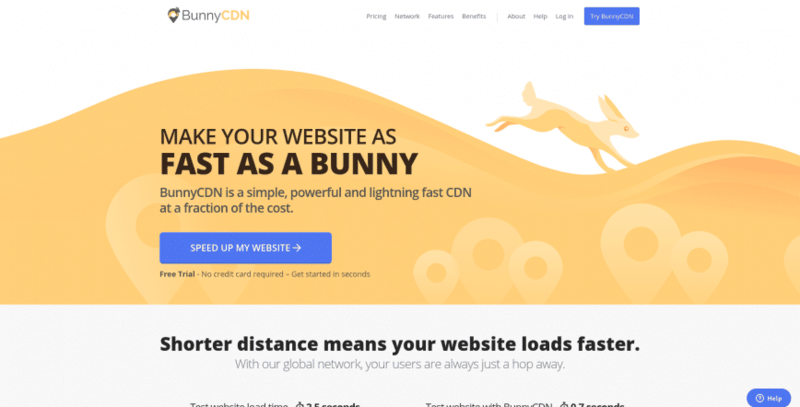 BunnyCDN is a simple and powerful CDN, offering lightning fast performance for a fraction of the cost with free SSL, Brotli, HTTP/2 and 100% Pay As You Go pricing. 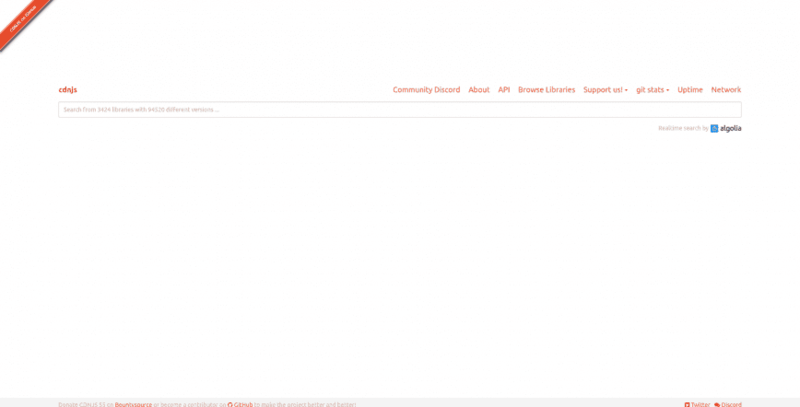 This blog uses BunnyCDN. Free 14 day trial, then from $0.01 /GB. CDN77 is a privately held company based in London, UK. 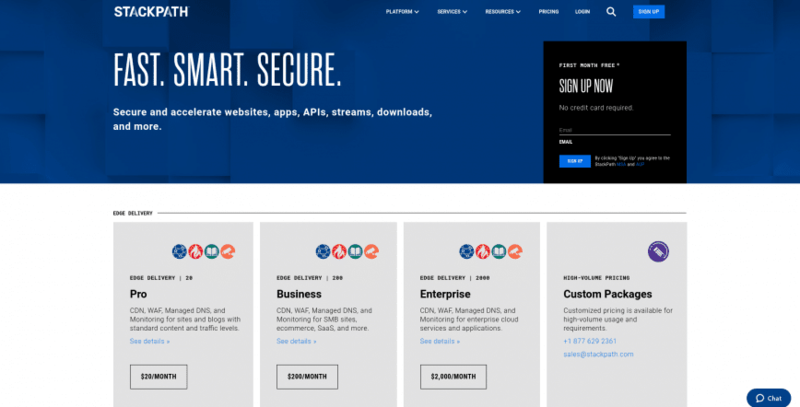 The company launched its CDN service in early 2012. The CDN77 network consists of 30+ global edge locations. CDN77 provides solutions for Website Acceleration, Software Distribution, Gaming, Video Delivery and a tailored platform for Live Streaming. Latest technologies such as HTTP/2, free instant SSL or Brotli compression offer a complete feature set. All features come at no additional costs and are available via API for every client. Free 14-day trial, then pay as you go or from $199/mo. 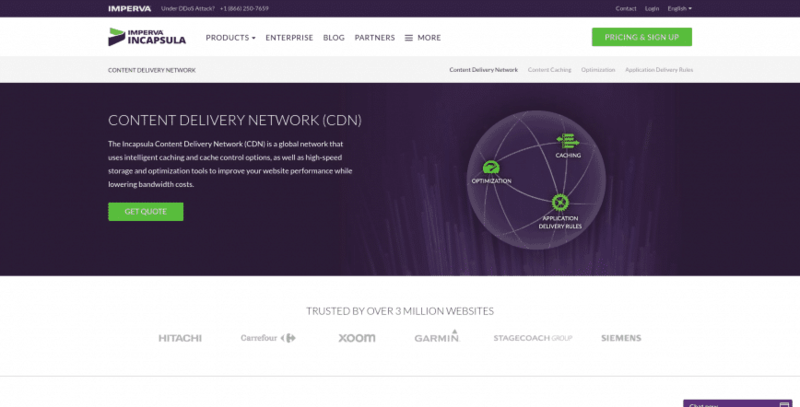 CacheFly Content Delivery Network (CDN) delivers rich-media content up to 10x faster than single-hosting delivery. Launched in 2002 as the first TCP anycast-based CDN, CacheFly pioneered the ability to deliver rich-media content faster and more reliably than traditional delivery methods. With a proven track record, a decade’s worth of experience and over 2,000 clients in over 80 countries, organizations consistently choose CacheFly for scalability, reliability and unbeatable performance. CDNetworks enables Global Cloud Acceleration. They help transform the Internet into a secure, reliable, scalable and high performing Application Delivery Network. CDNetworks’ unique position as the only multinational CDN with expertise and infrastructure in China, Russia and other emerging markets, enables them to be trusted partners in local markets, while serving as foremost experts on extending into global markets. Accelerating more than 40,000 global websites and cloud services over our 140 PoPs, CDNetworks serves e-business customers across industries like finance, travel, ecommerce, learning management, high tech, manufacturing and media. CDNetworks has offices in the U.S., Korea, China, Japan, and the UK. CenterServ is a cloud server company managing an association of more than 2000 ethical certified system administrator and experts from all around the world. CenterServ has two primary lines of business; Cloud Servers and Dedicated Servers offered on a global scale, over 200 locations! CenterServ helps design, build, and implement personalized services and offer cloud computing consulting services as part of their service agreements. With Cloudinary, all images are then seamlessly delivered through a fast CDN, optimized and using industry best practices. 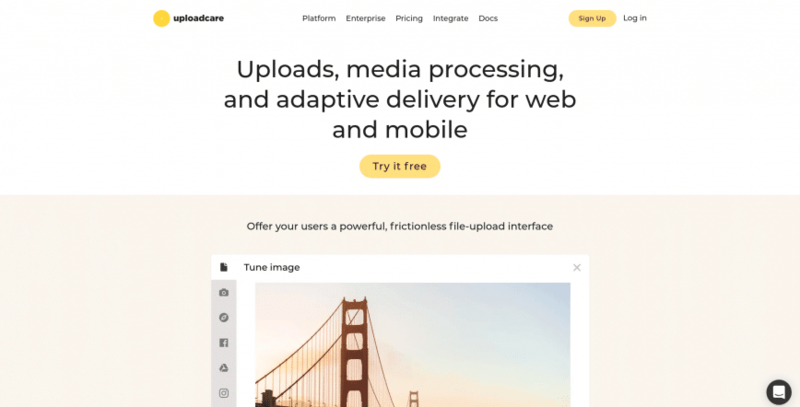 Cloudinary is a cloud-based service that answers a website or mobile application’s entire image management needs – uploads, storage, manipulations, optimizations and delivery. Cloudinary’s users can easily move all their website’s images to the cloud. Automatically perform smart image resizing, cropping, merging, overlay, watermark, apply effects, rotations and perform format conversions. Free forever plan (25 credits) or from $89/mo. 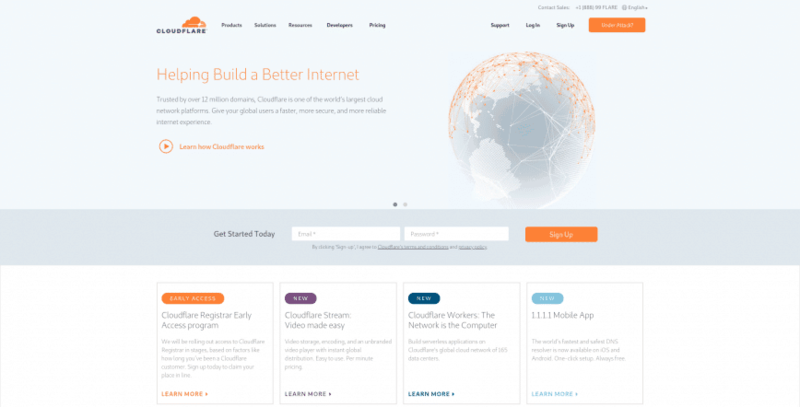 Cloudflare is a web performance and security company that provides online services to protect and accelerate websites online. Its online platforms include Cloudflare CDN that distributes content around the world to speed up websites, Cloudflare optimizer that enables web pages with ad servers and third-party widgets to download Snappy software on mobiles and computers, CloudFlare security that protects websites from a range of online threats including spam, SQL injection, and DDOS, Cloudflare analytics that gives insight into website’s traffic including threats and search engine crawlers, Keyless SSL that allows organizations to keep secure sockets layer (SSL) keys private, and Cloudflare applications that help its users install web applications on their websites. Plans start at $0 per month (free). Verizon Digital Media Services (VDMS) is an American company known for their content delivery network (CDN). The company was founded in 2006 as EdgeCast Networks, Inc and was funded by the venture arm of The Walt Disney Company, Steamboat Ventures. Edgecast is notable for being a self-provisioning CDN technology used by telecommunication and hosting industries. 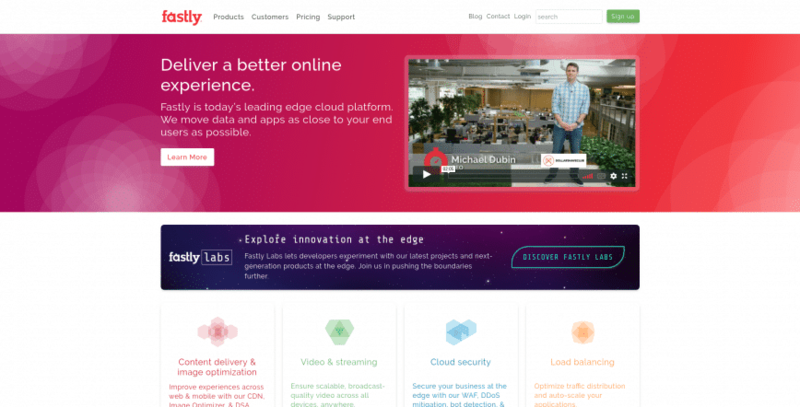 Fastly describes their network as an edge cloud platform, which is designed to help developers extend their core cloud infrastructure to the edge of the network, closer to users. 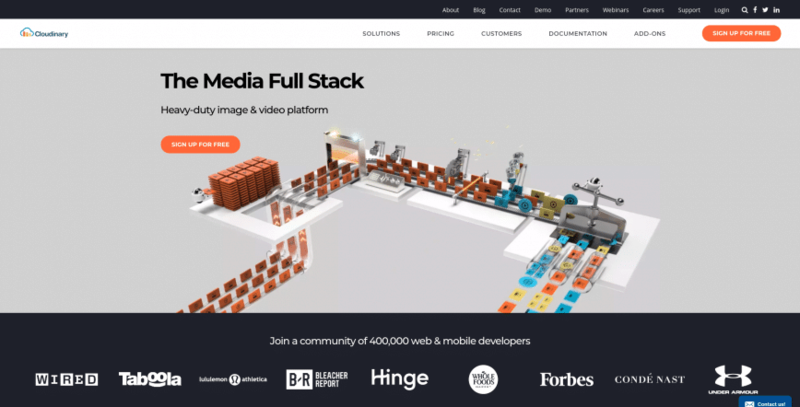 The Fastly edge cloud platform includes their content delivery network, image optimization, video & streaming, cloud security, and load balancing services. Fastly was founded in 2011. 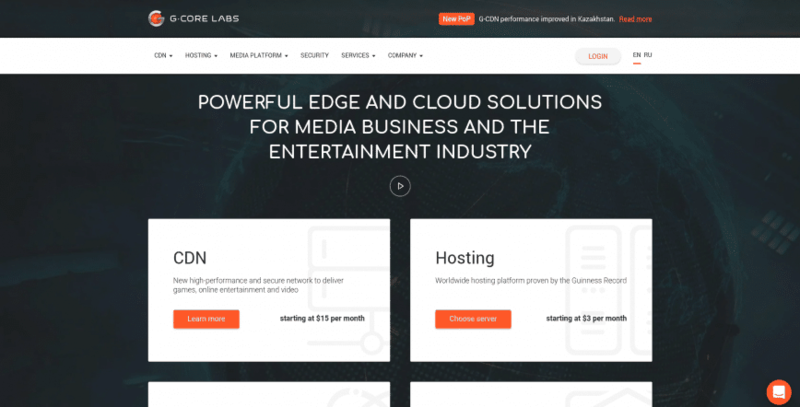 G-Core Labs is a content delivery network (CDN) and cloud services provider with a focus on the media business and entertainment industries. The company was founded in 2011. The name G-Core Labs is borne out of strong roots in the online gaming industry and the success in building the infrastructure for Wargaming. “G-Core” is “Gaming-Core”. This infrastructure was awarded by the Guinness Book of Records for the most simultaneous online players on a single MOG server (190,541 users). In 2014 another record was set with its content delivery network sustaining a load of 1,114,000 simultaneous players. The company is headquartered in Luxembourg and supported by R&D offices in Minsk, Moscow and Perm. Try for free. Starts at $15/mo. 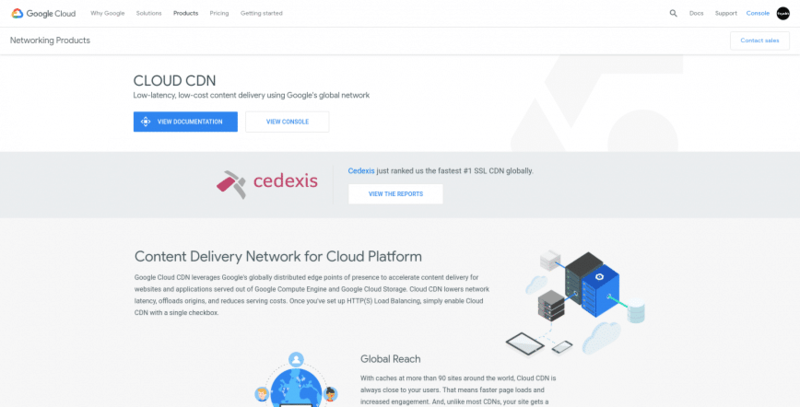 Content Delivery Network based on Google’s globally distributed edge points of presence. As of June 2018, the service is in Beta. Highly-scalable and reliable infrastructure. By operating an extensive global network of interconnection points we can bring Google traffic closer to our peers, thereby reducing their costs and providing users with a better experience. Present on over 90 internet exchanges and at over 100 interconnection facilities around the world. 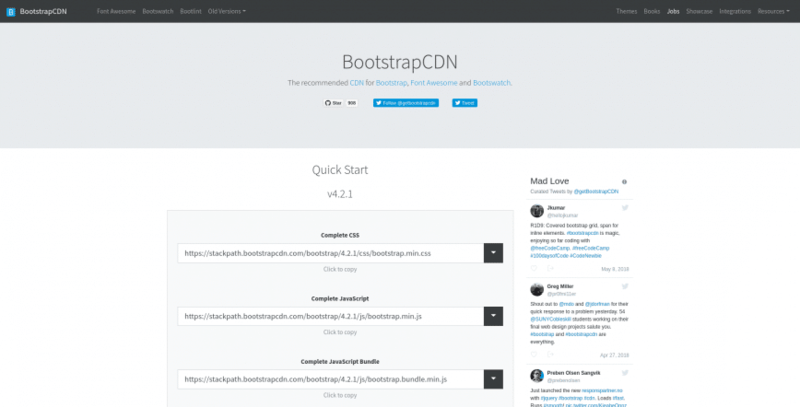 Free CDN package ensures a lifetime free CDN for startups and beginning webmasters. Free up to 10GB EU+USA or up to 5GB free for world traffic. Up to 48 PoPs (points of presence) located in 5 continents. Free plans available or from $5 /mo or, pay-as-you-go. Imperva Incapsula delivers an enterprise-grade Web Application Firewall to safeguard your site from the latest threats, an intelligent and instantly effective 360-degree anti-DDoS solutions (layers 3-4 and 7), a global CDN to speed up your website’s load speed and minimize bandwidth usage and an array of performance monitoring and analytic services to provide insights about your website’s security and performance. 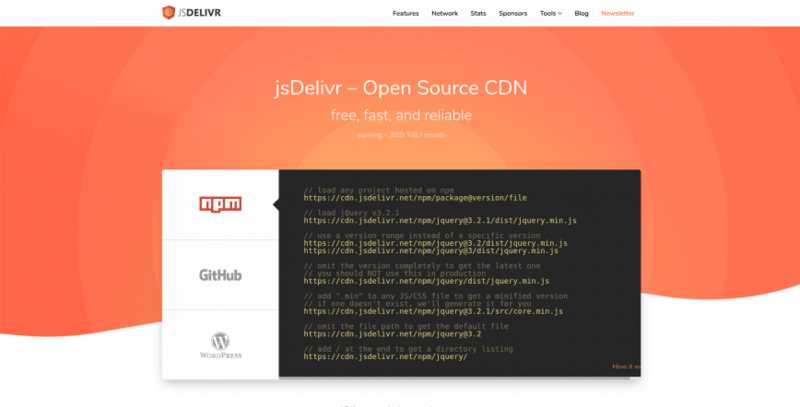 JSDelivr (stylized as jsDelivr) is a free public CDN for open-source projects. Currently takes the 3rd place as one of the most popular public CDNs in the world (that hosts multiple projects). Currently it can serve web files directly from the npm registry and Github repositories without any configuration. 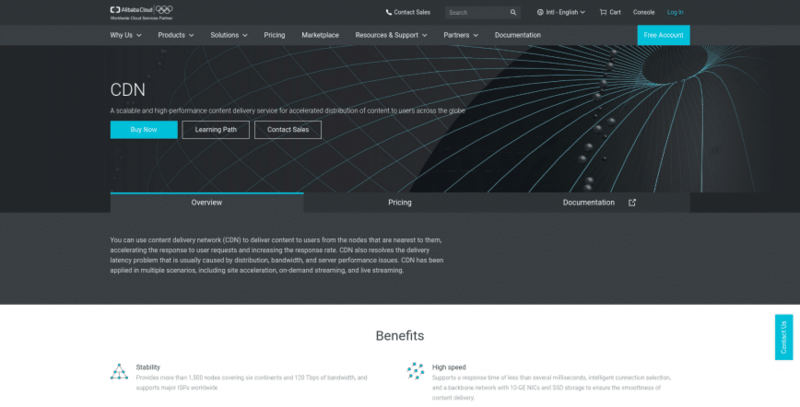 Free public CDN – Learn more. 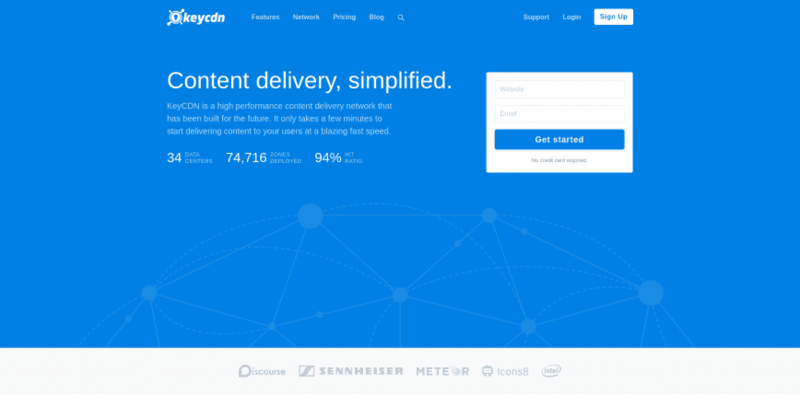 KeyCDN is a high-performance Content Delivery Network (CDN). KeyCDN is a global CDN with their own infrastructure and POPs in US, Europe, Asia, South-America and Australia. They offer a pay-as-you-go pricing model with a competitive global flat-rate. Disclosure: Affiliate link, as this blog currently uses KeyCDN. Microsoft Azure CDN is a global content delivery network (CDN) for audio, video, applications, images, and other static files. It can be used to cache static assets of websites geographically closer to users to increase performance. Azure has 54 point of presence locations worldwide (also known as Edge locations) as of August 2018. StackPath is an intelligent Web services platform for security, speed and scale. More than 30,000 customers, ranging from Fortune 100 companies to early stage startups already use StackPath technology. Headquartered in Dallas, Texas, StackPath has offices across the U.S. and internationally. Starts at $10 per month, First Month Free. Uploadcare handles file uploading, storage and processing for any website or app. Service provides convenient file uploading dialog for any website or mobile app. User can upload files directly from the web, Facebook, Instagram, Dropbox or Google Drive. Files are stored on virtually infinite storage, backed by Amazon S3, and backuped to user’s own bucket for extra security and flexibility. Service has on-the-fly image processing in order to fit any image to user’s own website or mobile app, allowing an enjoyable flexibility in design. Content delivery is provided by their CDN. Free or from $25 /mo. …suggest others in the comments section below.